Hey there, I’m CardNinja and I’m streaming mostly Scrolls content; varying from casual quick matches and discussion, to casting tournaments with people throughout the community. Here you can find information about my scheduling with relevant links to any community events I’ll be covering. But sometimes student life happens, if anything changes then this post will be updated as soon as possible. Still a new streamer, watch this space! pls critique. More images coming soon. Please feel free to post a comment about anything you’d like me to stream; leave some feedback on any previous streams I’ve done or just ask a question. I appreciate any and all comments. Q: Are you that British guy? Q: Are you in a guild, if so which? 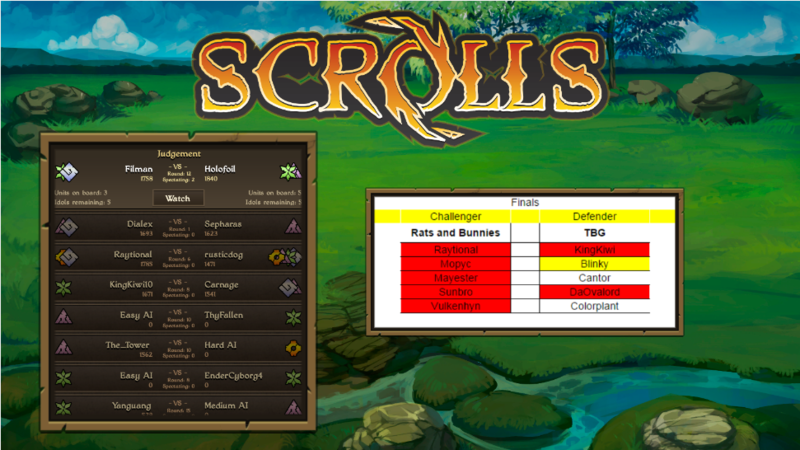 Q: How much experience do you have with Scrolls? A: Playing badly since the start of open beta. Q: How much experience do you have with streaming? A: Long time watcher, first time streamer. I'm always working on improving the stream quality and my own commentary. Last edited by CardNinja on September 19th, 2014, 19:15, edited 3 times in total. 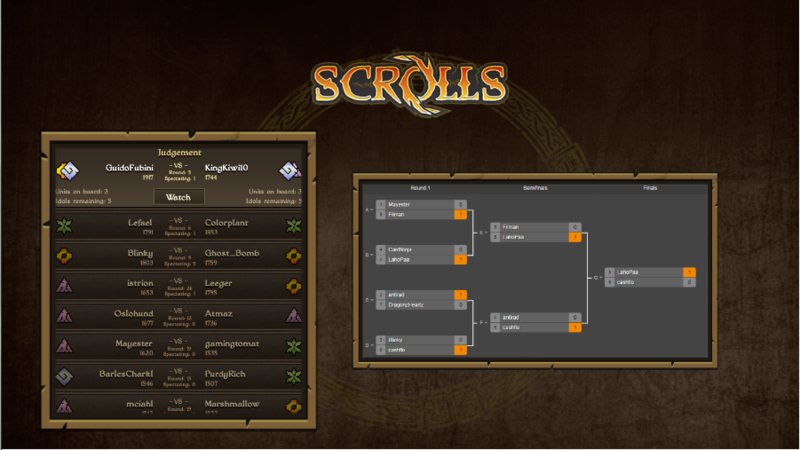 Would suggest a new color scheme to the bracket overlay. I realize that those particular colors are for readability but they clash with the scrolls aesthetic quite jarringly. Actually, the brackets themselves are from the last braggin' brawl googledoc so I have no input on the design of those unfortunately. Usually there will be some challonge or similar brackets there. Edit: Uploaded a second overlay image, hopefully this should illustrate what I mean.